When poinsettias start to appear in windows all around my neighborhood, I know that the holiday season is in full gear. A bright red poinsettia wrapped in gold or silver ribbon is a must-have for people who love to decorate their homes and businesses in December. So I thought I’d use this week’s post to take a more in-depth look at this distinctive plant that seems to be just about everywhere this time of year. Enjoy! This festive plant originates from forests in Mexico and Central America. These plants date back to the Aztecs, who considered them a symbol of purity. In addition to admiring their beauty, the Aztecs created a dye from the leaves of these plants. They also used sap from the leaves as a treatment for fever. Poinsettias are named after botanist Joel Roberts Poinsett, who served as U.S. ambassador to Mexico from 1825 to 1829. 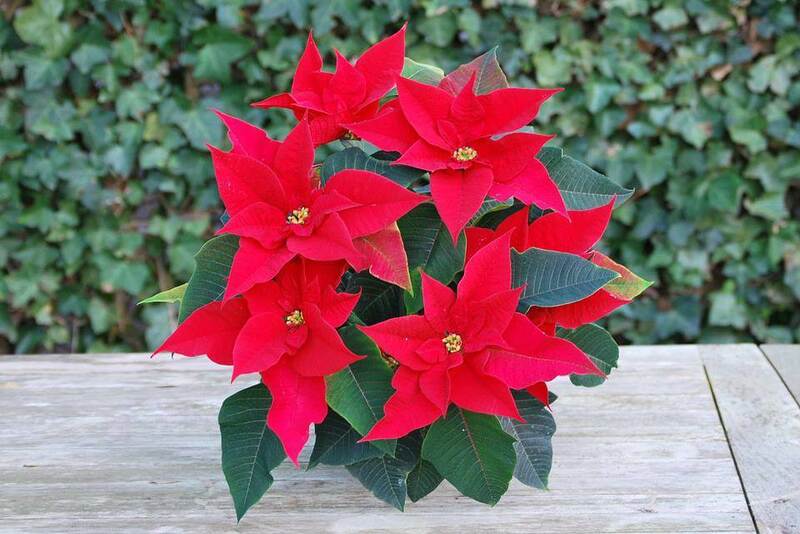 Poinsettia plants are sometimes called lobster flowers or flame-leaf flowers because of their brilliant red color. They’re also known by many as simply the Christmas flower. At one time, poinsettias were only found in red. 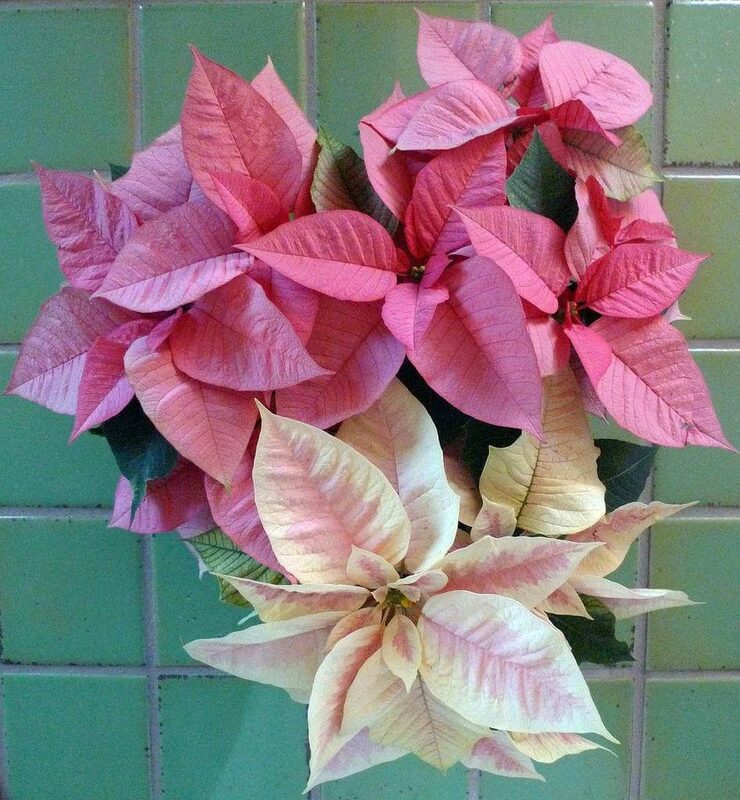 Now, you can find poinsettias in a number of different colors, including yellow, purple, salmon, white, and pink. There are even some poinsettias that feature multiple colors! I always decorate the area around my fireplace at home with both red and white poinsettias. I like the dramatic effect of the red against the white. I sometimes throw a purple poinsettia into the mix to keep it interesting for my dinner guests! Are Poinsettias Poisonous to Pets? For a long time, it was believed that these seasonal flowers were poisonous to pets, especially cats. I know I always kept my poinsettias away from my curious dog, Basil. He has a habit of chewing on houseplants when he gets bored. Today, we know that poinsettias are only mildly toxic to pets. It’s the sap inside the leaves of poinsettias that can make a dog or cat somewhat ill. If you want to keep your pets away from your poinsettias, I suggest putting them up on the mantle above the fireplace or on a high window sill. If you have a poinsettia in your home this holiday season, you probably want it to last as long as possible. Well, with the proper care, these plants can continue to flourish right into January or even February. 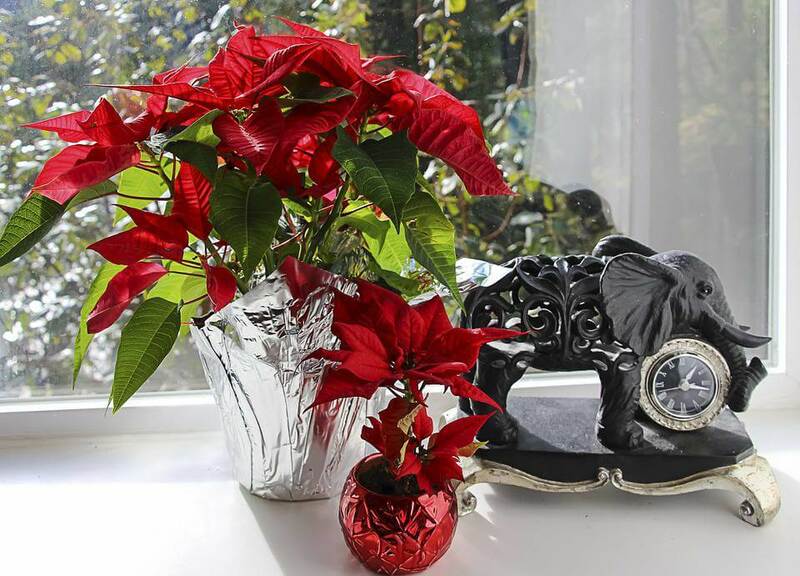 First, put your poinsettia near a window that lets in a lot of sun. When setting your home’s thermostat, keep in mind that these plants are used to the 60- or 70-degree temperatures inside a greenhouse. Also, they are vulnerable to cold gusts of wind, so keep them away from front doors and drafty windows. When it comes to watering your poinsettia, put your fingers in the soil to test it. Add water to your plant when the soil feels completely dry. I hope you consider getting a few poinsettias for your home this December. You’ll appreciate the vibrant color they add to your celebrations.